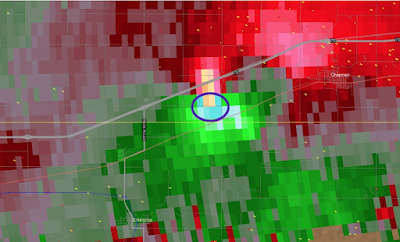 Below, I posted about a downburst I captured using Doppler wind velocity radar yesterday. You'll see a comment asking about what a tornado looks like. Below is the Chapman tornado from Tuesday night in the velocity data. This was the Topeka radar's data. The blues/greens were winds toward the radar and the reds/oranges were winds away from the radar. Velocity data is rarely shown on television. What is more commonly shown is the reflectivity data. 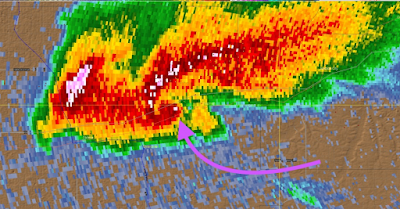 Here it is from the same storm at the same time. The arrow points to the "hook" echo. 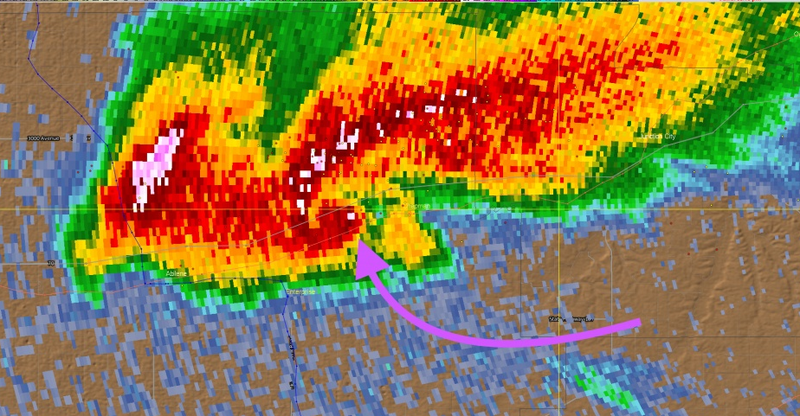 The whit pixel in the hook was debris lofted by the tornado. 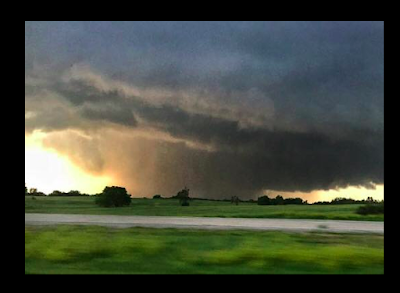 ADDITION: My friend and storm chaser Lanny Dean provided this photo of the tornado at the time these radar images were captured. Like so many, it was wrapped in rain and didn't look like a tornado. That is why it is absolutely vital to follow the warnings, not your eyes.